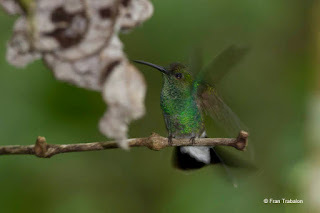 White-vented Plumeleteer Chalybura buffonii micans. Pipeline Road. 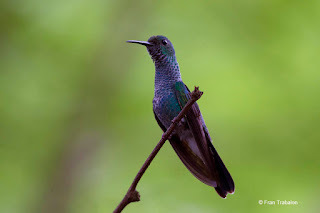 Gamboa. Oct.
Bronze-tailed Plumeleteer Chalybura urochrysia isaurae. 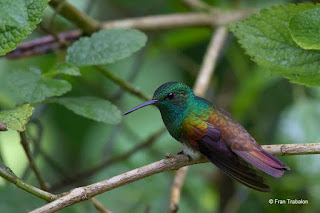 Cerro Azul. 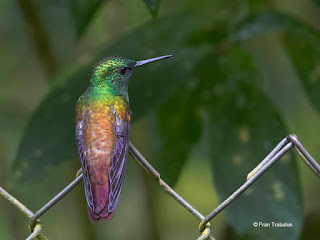 Panama Prov. 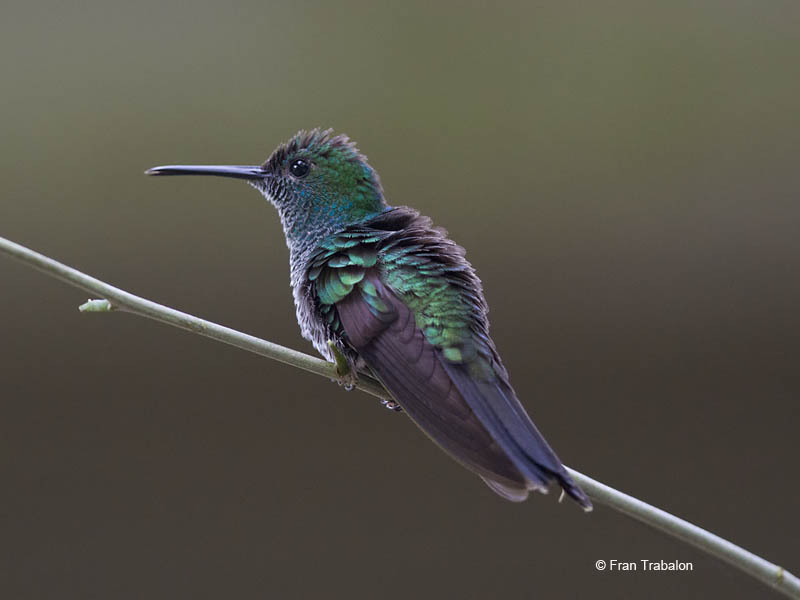 Oct.
kw: Hummingbirds. Trochilidae, Colibrí de Buffon, Red-footed Plumeleteer, Colibrí patirrojo. 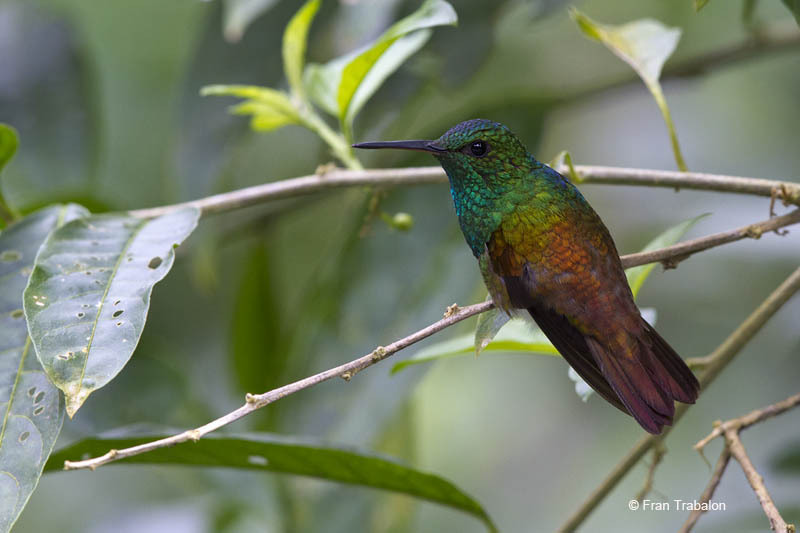 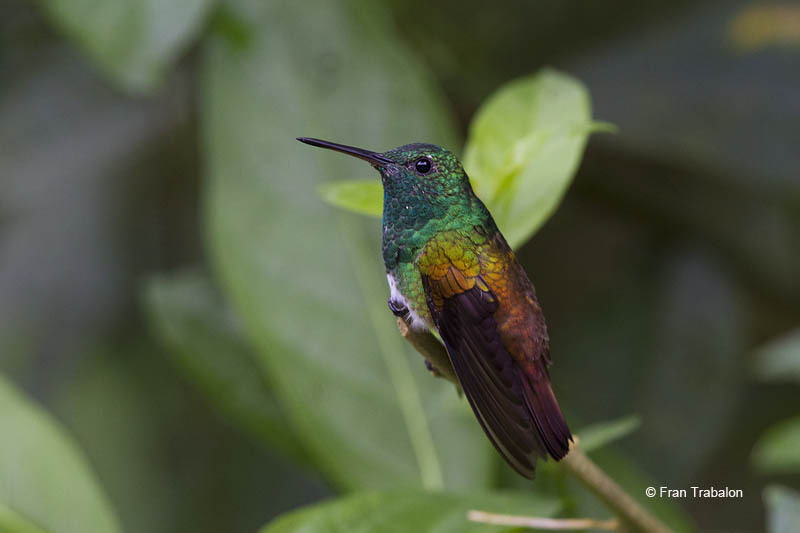 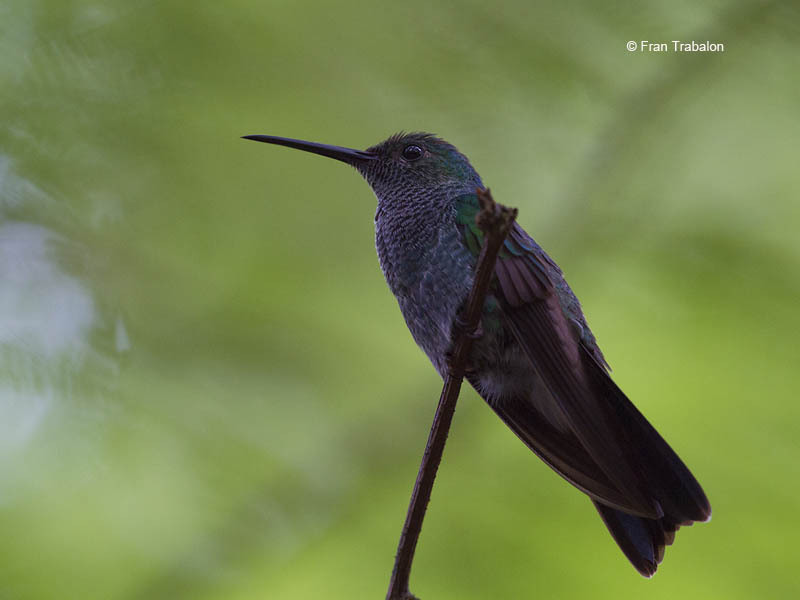 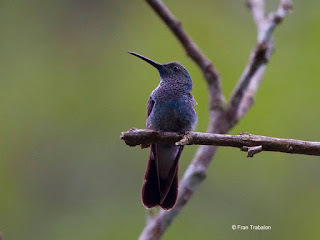 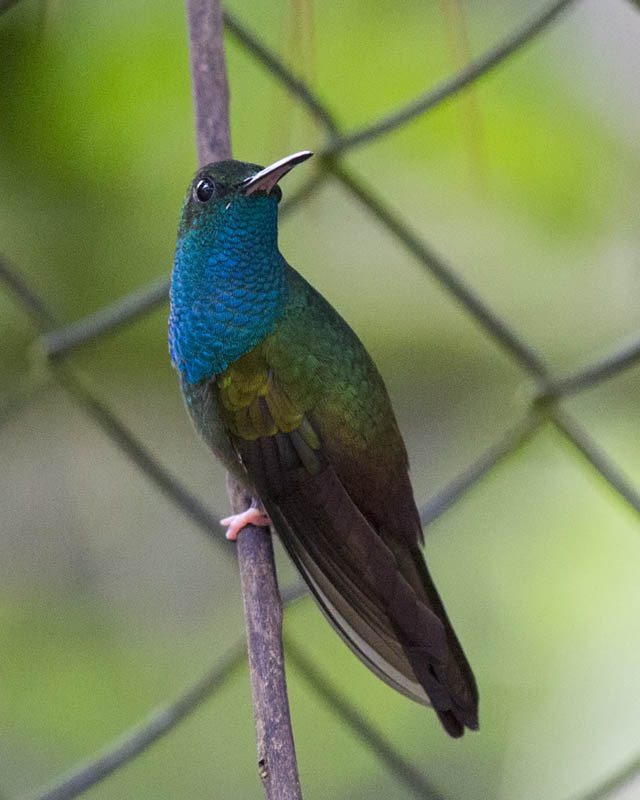 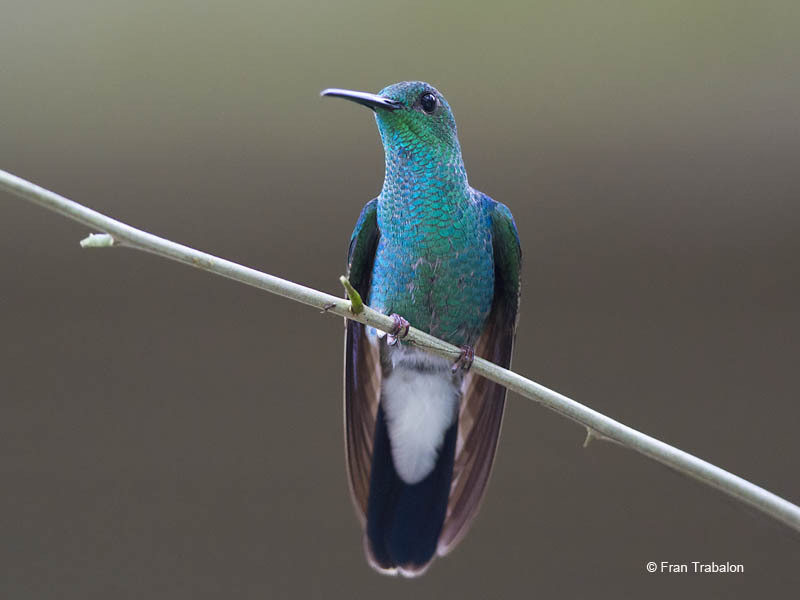 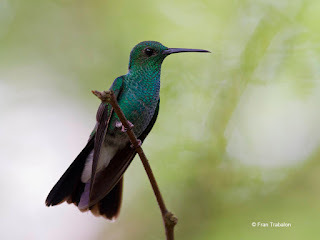 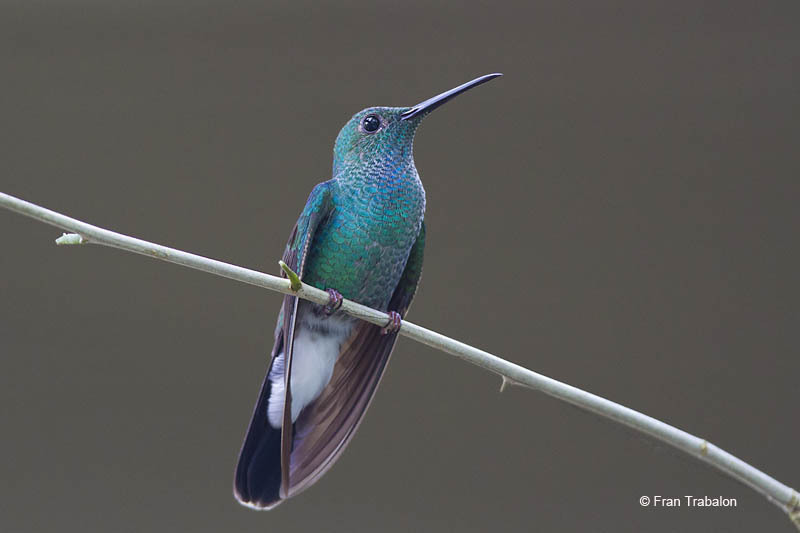 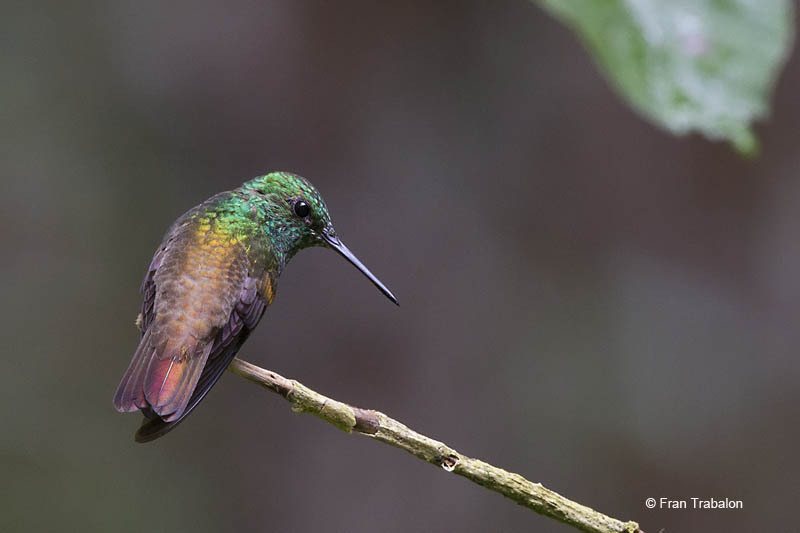 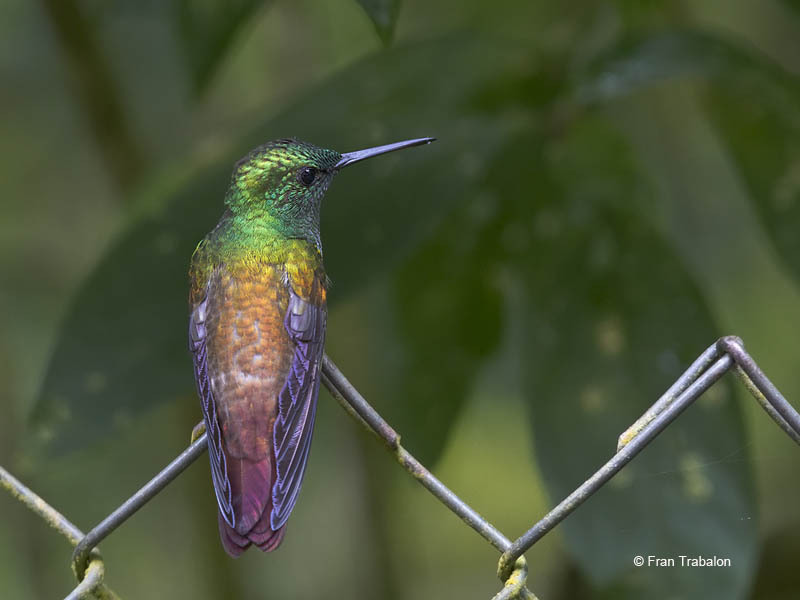 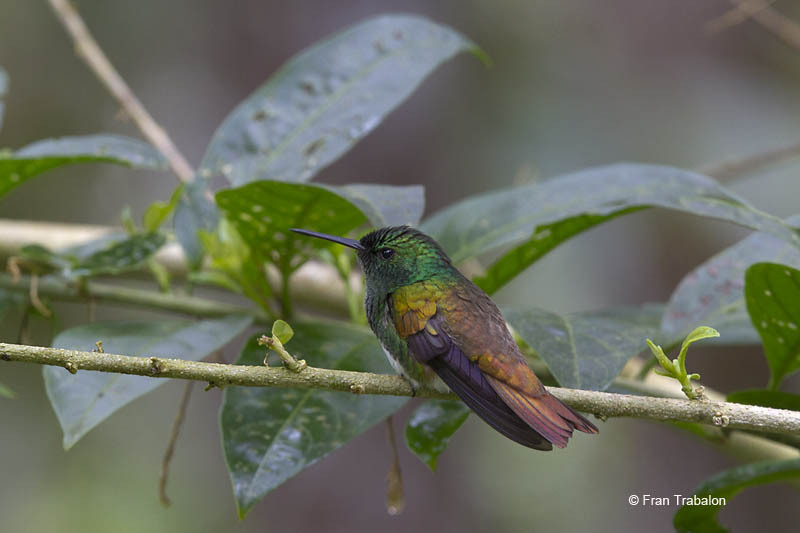 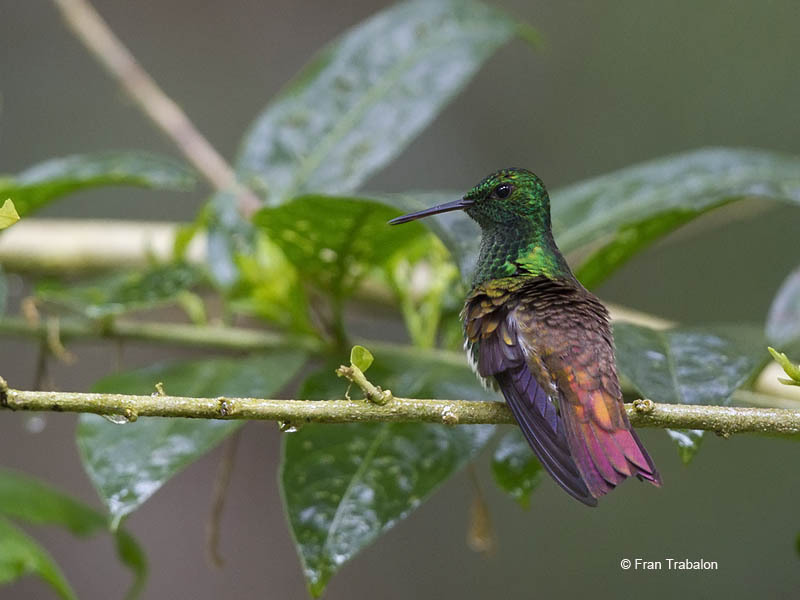 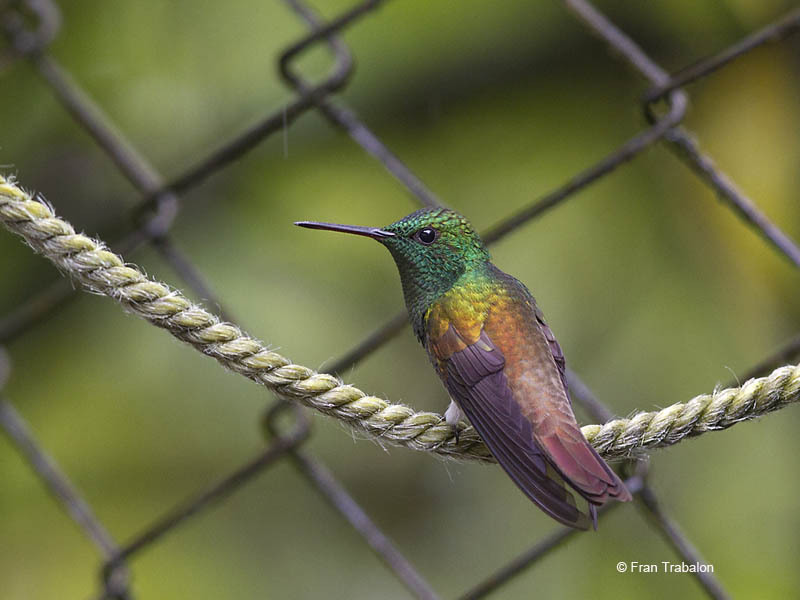 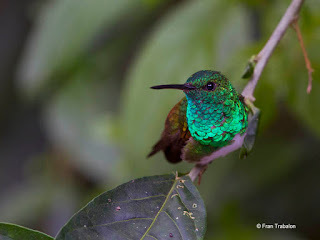 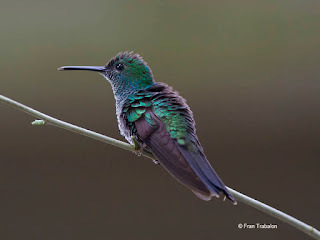 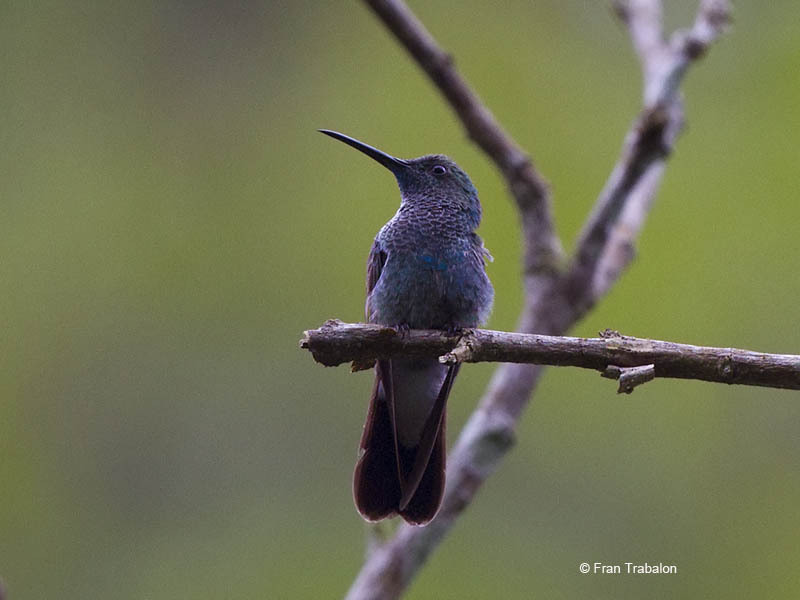 The White-vented Plumeleteer is seen in Pipeline road, but best site are the feeders at Rainforest Discovery Center, while Bronze-tailed Plumeleteer is more a mountain hummingbird, and is easy to see in Cerro Azul.